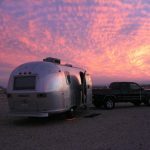 You have seen the iconic silver trailer on TV, in movies and passing by you on the highways, but the Airstream has a pretty unique history. 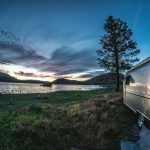 Way back in the 1920s Wally Byam, the founder of Airstream built the iconic travel trailer in his backyard because his wife refused to go camping without bringing her kitchen along with her. Traveling around the country with the newly built trailer generated so much interest that Byam began building them for others in his backyard. He later sold copies of the plans for the trailer in the back of Popular Mechanics magazine until in 1932, the Airstream Trailer Company was born. 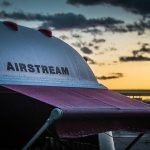 Here are 6 weird facts about Airstream you probably didn’t know. Back in the 50s, Wally Byam used to organize caravan to exotic destination all over the world, and the tradition continued on after his death. After he passed, the trips were organized by the Wally Byam Caravan Club International. In 1963, the group decided to follow the route mapped out by Marco Polo. They started in Singapore and finished a little over a year later in Portugal. The National Geographic Society filmed the trip and it appeared in 1966 as a TV miniseries narrated by none other than spooky actor Vincent Price. When Neil Armstrong and crewed landed back on earth, the first station they came to was an altered Airstream trailer. 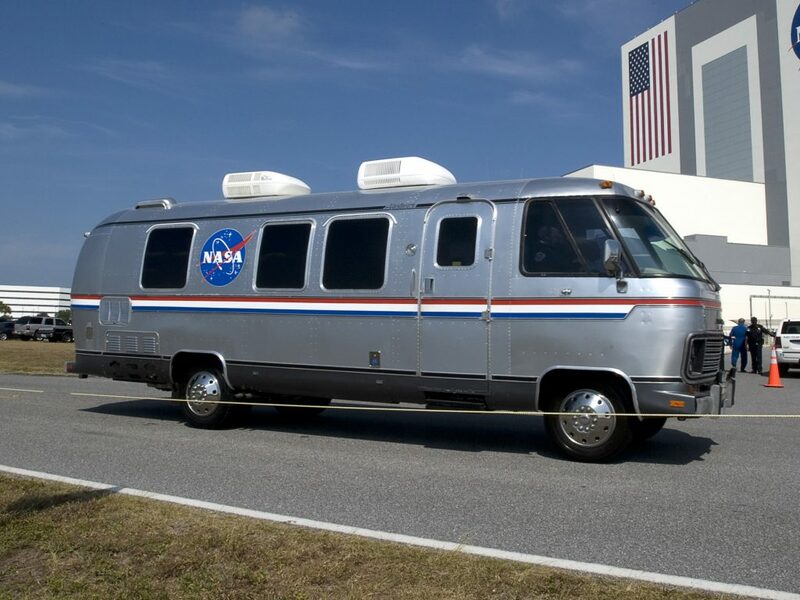 Dubbed “the Astrovan” the astronauts were taken to the launch pad in the trailer and upon landing they rested in the trailer until the fear of contamination was cleared. Back in the 1940s the company wanted to show the world just how light the trailers were, so they staged a photo shoot showing a cyclist towing a trailer behind him with a bicycle. The stunt worked wonders for publicity and sales of the trailers took off in the US. Not only an engineering wunderkind for developing the trailers in the first place, Wally was pretty clever at thinking up slogans and taglines used in the advertising campaigns. 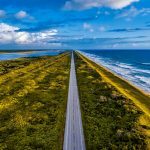 Here’s an example of just one his slogans… “Adventure is where you find it, any place, every place, except at home in the rocking chair.” You can find more of his genius here. Known for its iconic bullet-like silver design, Airstream decided to try something new in 1986 by adding a new shape to its lineup, launching the square Airstream. These new Airstreams looked more like traditional travel trailers, but Airstream fans were not happy…really not happy. Back then the square models were even banned from the Wally Byam Caravan Club and the whole thing was compared to the “New Coke” failure around the same time. 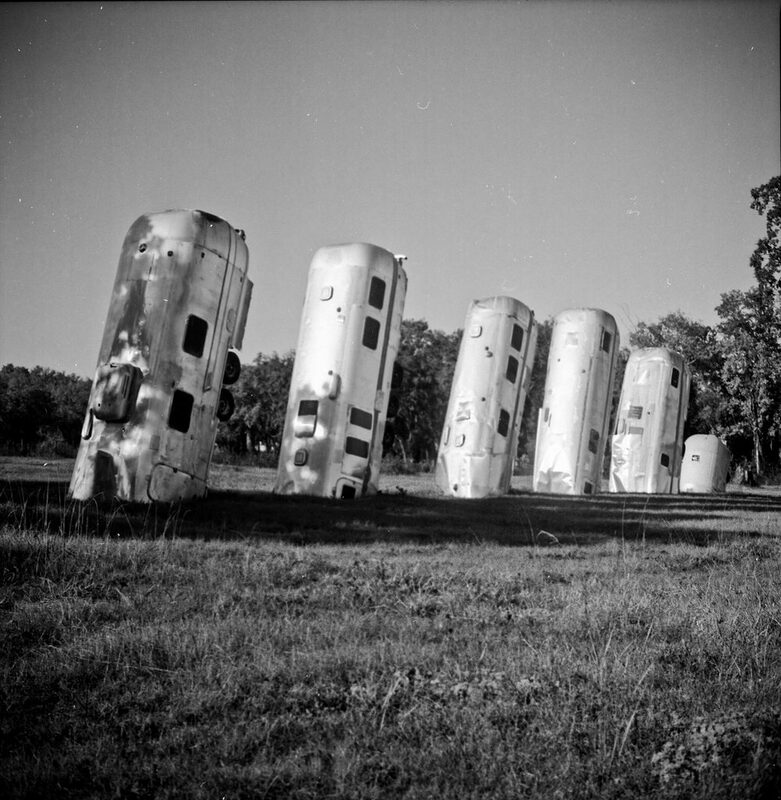 “Airstream Ranch” just outside of Tampa is considered art by some and an eye sore to others, was almost destroyed in 2012. 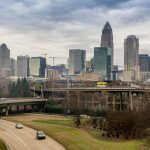 Local businesses complained of the eyesore, but thousands of people signed a petition to save and a judge (probably an Airstream fan) declared it not junk, not a sign nor an illegal storage, so to this day it remains. Whether it’s art…who knows.